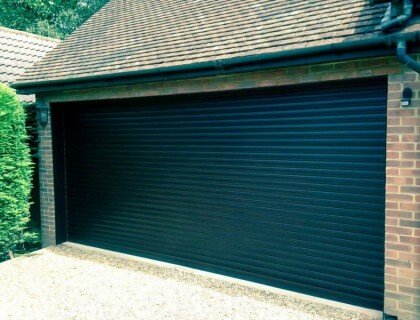 Lockrite Security were contacted by a customer in Farnham, Surrey soon after their home was burgled. The customer didn’t have a home alarm system installed prior to the break-in so re-securing their property was a high priority for us. Soon after their initial enquiry, we arranged for a member of our team to visit the premises and perform a security audit. After talking with the customer it was agreed that the Wisdom wireless alarm would be ideal for re-securing their home. The end system comprised of two door contacts and 6 PIRs (Personal Infra-red sensors), which were fitted around their home. For additional security we installed a GSM module that uses the customers phone line to dial out to PSK Guarding Company in the event of a break-in. If the main phone line is unavailable, the GSM module has a backup method of communication, which ensures reliable communication between the alarm and the guarding company. The customer was looking forward to being able to set and unset the alarm using their mobile phones. This is one of the most useful features of this alarm and its perfect for ensuring your home is secure. We’re glad we were able to quickly secure their home and we hope our customers enjoy their new alarm!